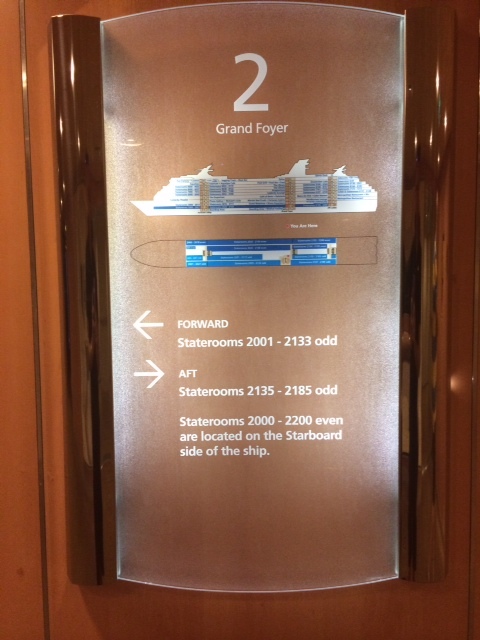 Final holiday musings – cruising highlights and more! Well it has been four days since we have returned from three glorious weeks on cruising on the high seas and reintroducing ourselves to Hong Kong and Macau and I thought it would be a great chance to put together some final musings about the trip and the experiences we had over the three weeks we were away. I did originally have some trepidations about doing another cruise after the bad experience that we had on our New York to Bermuda cruise but these were soon pushed aside when we embarked on the Celebrity Millennium and experienced the friendly staff, the surroundings, the amazing dining options and the facilities on board. As I said in my first post we did have a couple of hiccups with sorting out our drinks package but once that was sorted out it was all smooth sailing from them on. Being on the sea and not the ocean made all the difference and also being on such a large ship meant that when it was a little choppy they put the stabilisers out and it made for a much smoother sailing time, although it was fun in the gym on the treadmill trying to stay focussed on running without coming off the side when it was a little rough, but that was a minor thing really. 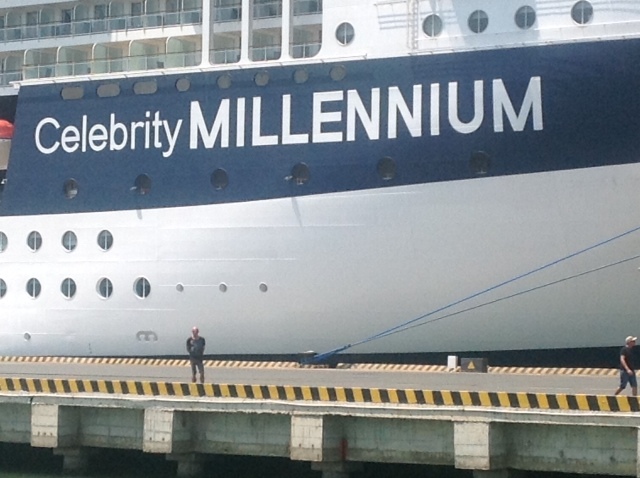 Can you see just how big the ship is and can you see me? We had sensibly been informed and chosen a cabin in the middle of the ship which meant that if it did get really rough we would be more balanced than if we were located at either end. This made even the last day that was quite choppy much easier to deal with. The other thing we did was take ginger tablets every day and they seemed to keep us calm and focussed. They were the best find and worked a treat. Other than location of cabin we did not find ourselves spending much time in our cabin as there is always something to do and somewhere to put yourself to either be amongst the action or find a quiet space to read and reflect in. This ship has just over 2100 guests on board and we were all constantly amazed that each day we would run into people who we did not see again on the ship but then ran into some of he same people every day. It really was like being in a small city. The ship was 12 stories high so you can imagine how big that is and how easy it was to explore and find new spaces and things to experience. For me the speciality restaurants were a real treat. 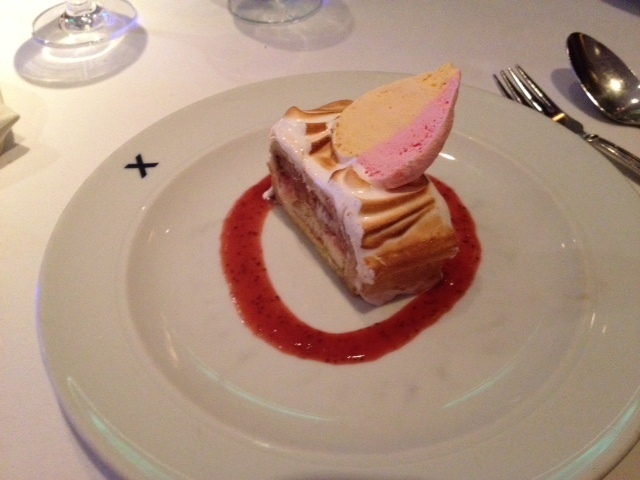 Both the Olympic (with its would panelling from the original Olympic ship – the sister ship to the Titanic) and QSine were wonderful experiences and over the course of the cruise we had 3 dinners in the Olympic restaurant and 2 dinners at QSine. Olympic was a more traditional French experience that harked back to the 70’s and 80’s in terms of the food on offer from the pate and the lobster thermidor to the crepe suzette and the Grand Marnier Souffle. The service, the attention to detail and the setting were all perfect and were real highlights of the trip. 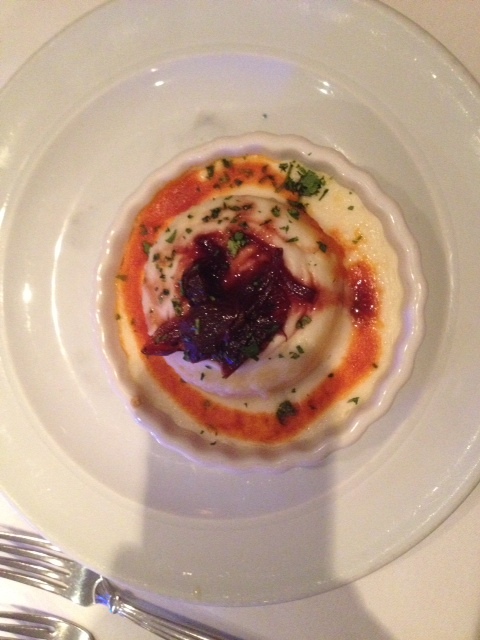 The divine savoury soufflé in the Olympic Restaurant! QSine was a completely different experience – from the minute you walk into the restaurant you understand that you are in for a very different experience. The décor was all black, white, grey and orange and was done in a very current, imaginative way that was welcoming and fun at the same time. It was located up on deck 11 and has a great outlook. 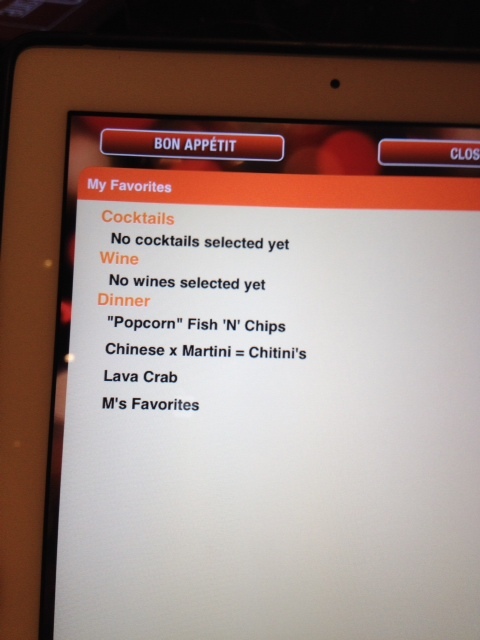 You are presented the menu on an iPad and it is broken up into 20 different dishes that each offer an option that relates to a theme or a country. It is very like degustation dining as you order 4 dishes at a time and they are all small taster sizes and everyone gets to taste each dish. 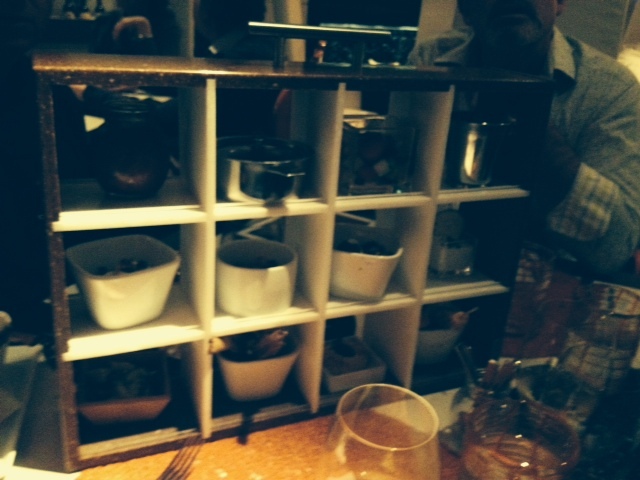 Then if you still have room you order three or four more…but be warned by the time you have had 7 dishes you are pushing it to try and fit any of the delightful desserts in. Cool and fun – QSine! Over the course of the 2 nights that we dined there we had 12 of the dishes from the menu as there were a couple of stand outs that we had again the second time around like the lava crab. This really was a wonderful dining experience and to be able to try such an interesting range of dishes from around the world was great fun – from the traditional fish and chips served in paper, to the Indian curries and the wagyu beef burgers they were all tasty and delicious. And when it came time for dessert you were each presented with a rubiks type cube that opened out to present all of the different options and again each one was either for sharing with the table or you could, like we did have one all to yourself. Mind you on the second night we could not fit dessert in at all. 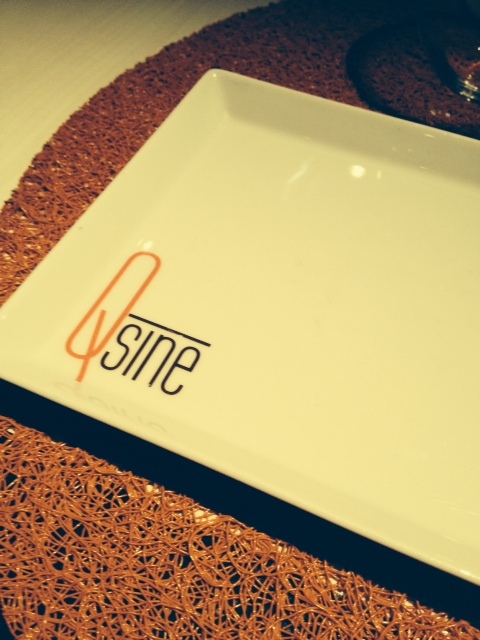 QSine fun, fabulous and great food! 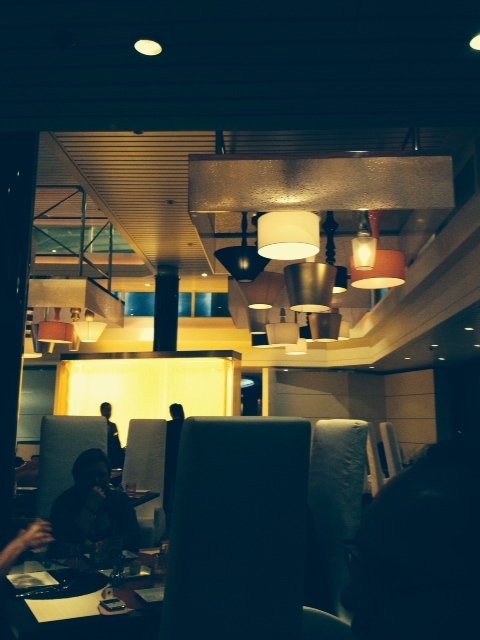 The main dining room on the ship was also another highlight but for completely different reasons. It was were those in the Pied Piper who were not dining in the speciality restaurants all broke bread together and shared the dining experience of a more Mediterranean, French inspired menu. We were broken up into 4 tables of 10 and we pretty much sat at the same table each night and this gave us a great opportunity to connect with and get to know others in our group and share our experiences of what we had done that day, either on ship or on shore trips. 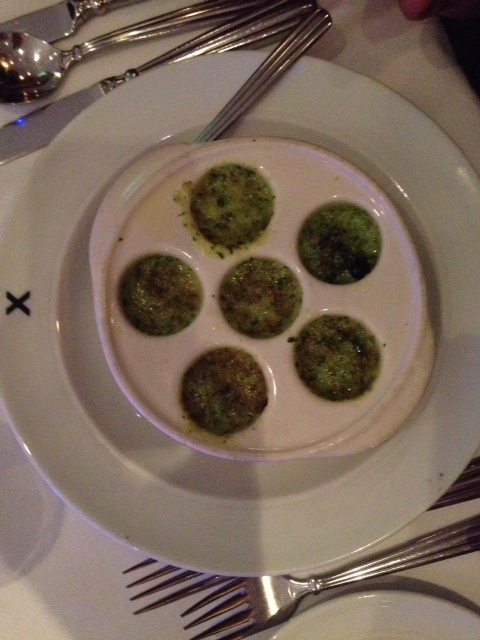 The food in the main dining room was lovely and there was always new and interesting things to try each night along with standards such as escargot and steak. Dinner each night took at least 2 hours and it was the perfect way to further wind down and enjoy the company, the food and of course the wine as well! 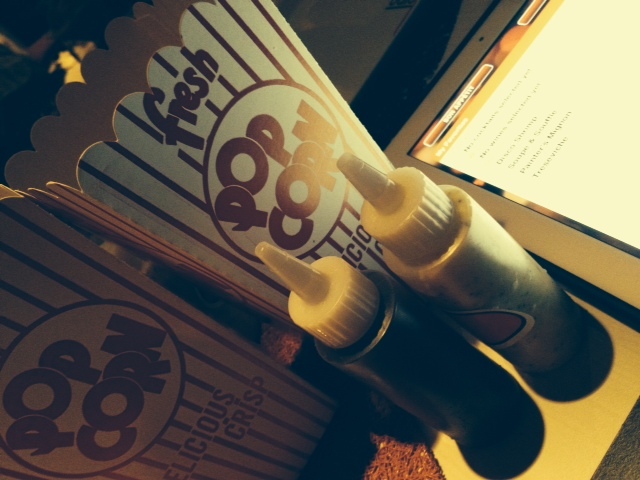 Main dining room delights – each and every night! 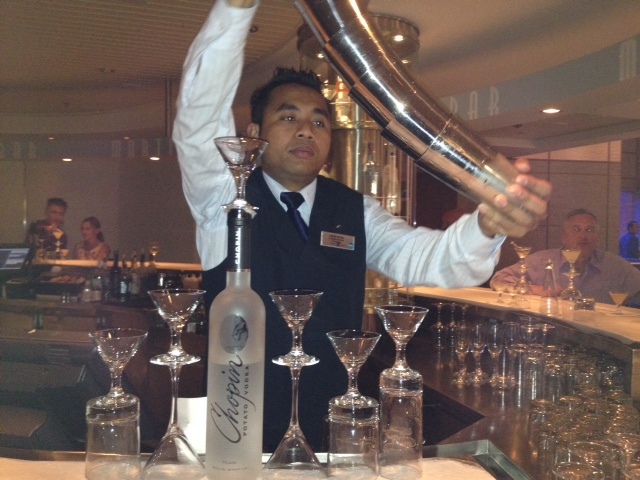 On board the other highlights were the martini bar that we seemed to all gravitate to each night before dinner. Pre dinner cocktails is so sensible and the chance to try new things or just to stick with the tried and true dirty martini all added to a great experience and the staff in the end new us all really well. The other space that I love was the coffee area on deck 5 that had high back chairs and the chance to sit watch the sea pass by and enjoy an espresso, a speciality tea and something fresh from the bakery. It was usually quite quiet, depending on the time of day and it leant itself to reading, reflecting and just relaxing. We seemed to find ourselves heading there each day around 2.30 and it was a perfect way to spend an hour or two in the afternoon before we headed back to our cabin for an afternoon nap before the martini bar beckoned. Pure bliss! A flight of martinis a perfect way to begin an evening with friends! I must admit that for a long time I have thought that cruising was really for retirees and yes there were many older folks on board but I am now of the opinion that this can be an experience that everyone can really get into enjoying. The only issue I would have is that you do not really get long enough in any port to really enjoy a place. Both Trevor and I much prefer to put down roots for a few days in any place we visit and really explore and get to know the surrounds and the culture which you cannot really do when you are only in port for 12 or 24 hours. But as we had been to just about all the ports on this cruise it really was to experience the cruise itself and all it had to offer. 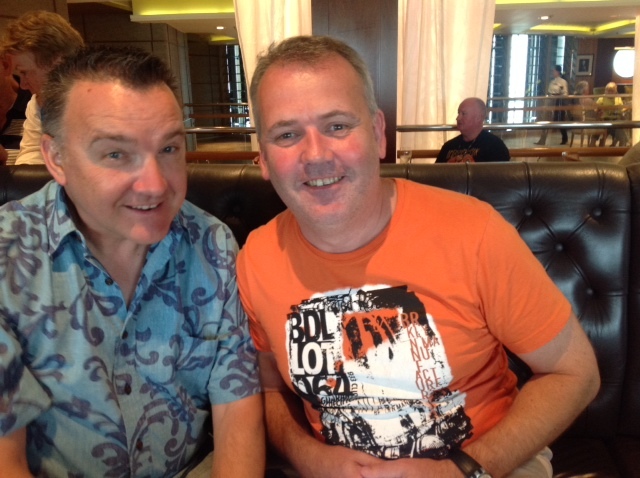 When we first discussed going on the cruise we said that we would not go alone and we were so happy to have travelled with our dear friends Robbie and Rod who added to the fun and the overall experience of our time away. We also loved being part of a larger group which ensured there were new friends to meet and share experiences with which all added to a memorable holiday. Bill and Ian from Melbourne – 2 of the gorgeous guys we met through the PIED Piper group! 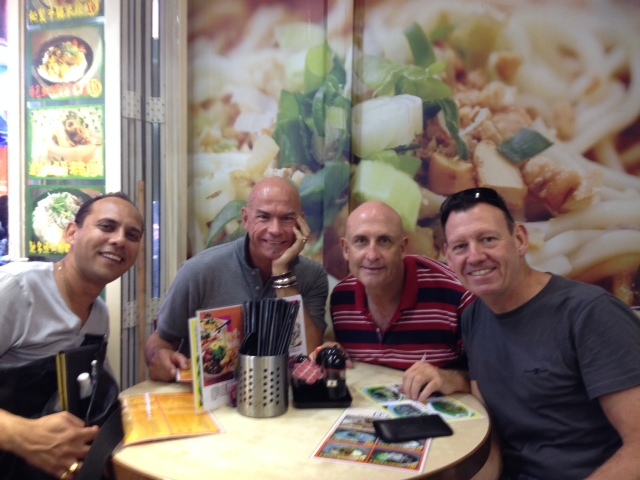 Off the ship and dining in Hong Kong with Robbie and Rodney! 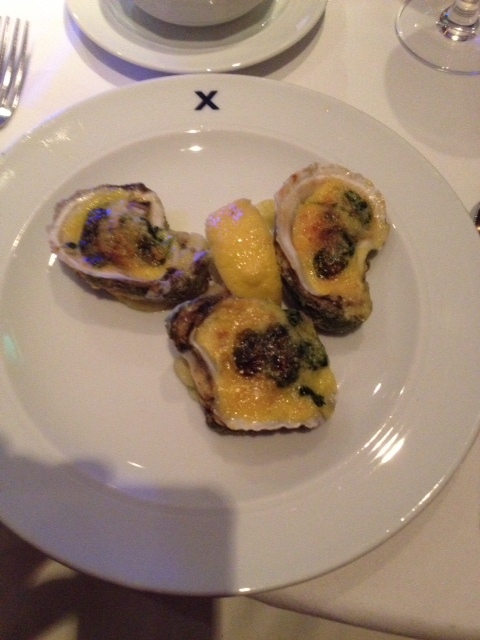 The delights of Hong Kong and Macau – fabulous dining and clothes shopping galore! Who decides what is on trend and what is not – isn’t style a personal choice!